Braden Patrick Miller, affectionately known as Buddy, touched a lot of hearts during his long and courageous, 21-month battle with brain cancer. The young warrior suffered from Diffuse Intrinsic Pontine Glioma (DIPG), a rare form of pediatric cancer for which there is no cure. 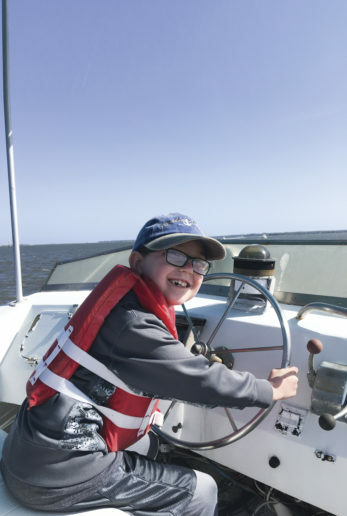 His long journey came to an end on October 19, 2018 when he was just nine years old. “He was the epicenter of our universe,” says Patrick McDonald, Buddy’s grandfather, tearing up as he spoke. 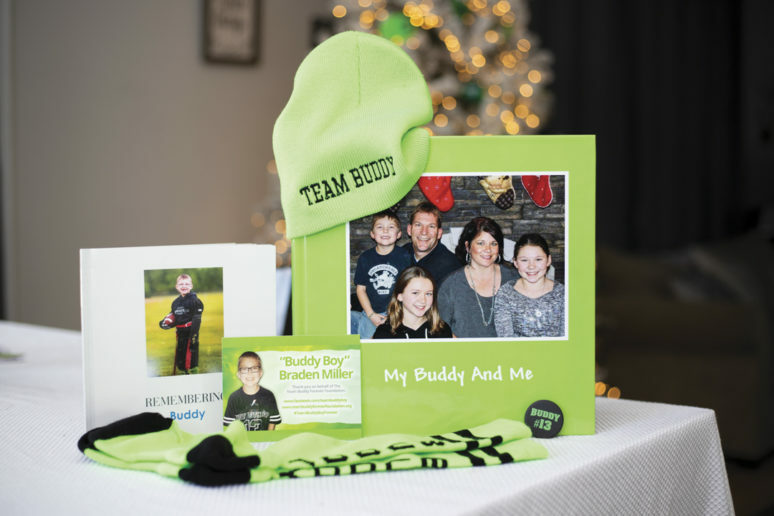 To further their cause of raising DIPG awareness, Buddy’s family will travel to Lansing on May 17, which is DIPG Awareness Day in Michigan, where they plan to speak to lawmakers in support of the cause. “We are a grassroots family, looking to expand our army,” says McDonald. 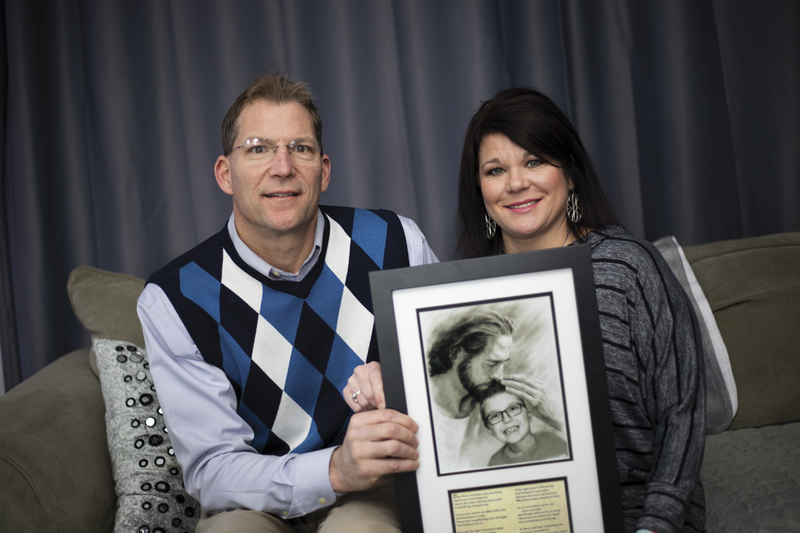 On that day, the family hopes to shed light on the fact that only four percent of cancer funds goes toward pediatric cancer, and only a minute part of that goes to DIPG kids. The family is still reeling from the loss of their beloved Buddy. “The grieving comes in waves,” says Jeni. “Christmas was tough.” But with donations they received through the foundation, they were able to provide for three needy families and give to others during the holidays, which helped ease their grief. The foundation was not only formed to honor Buddy’s memory, but also to raise awareness of this rare disease, which affects approximately 400 children per year nationwide, and to raise funds for other families fighting DIPG. 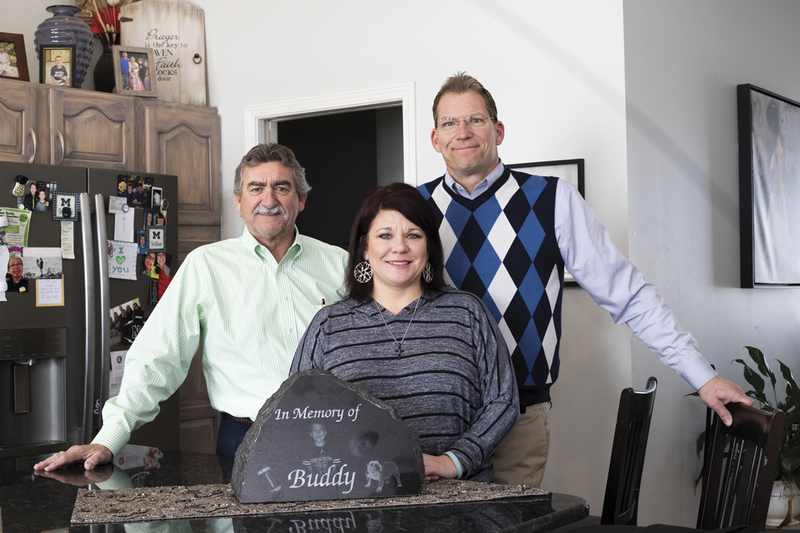 The Team Buddy Forever Foundation, which gained nonprofit status in January, has much work to do and is moving ahead full steam. They are continuing their fundraising efforts and have items online that can be purchased, including the lime green socks. The Foundation is also reaching out to organizations, foundations and corporations that might wish to support them with financial donations or by sponsoring events. They are working with other groups and have a few fundraisers already in the works, such as the Volley 4 Molly Volleyball Tournament at Flushing Schools on May 10th and The Donation Nation Walk/Run event at Ascension Genesys on August 3rd. “We have a lot of volunteers, but are always looking for more,” says Jeni, adding that people can go to their website and fill out a form to volunteer, request financial assistance or make donations at Teambuddyforever foundation.org/.